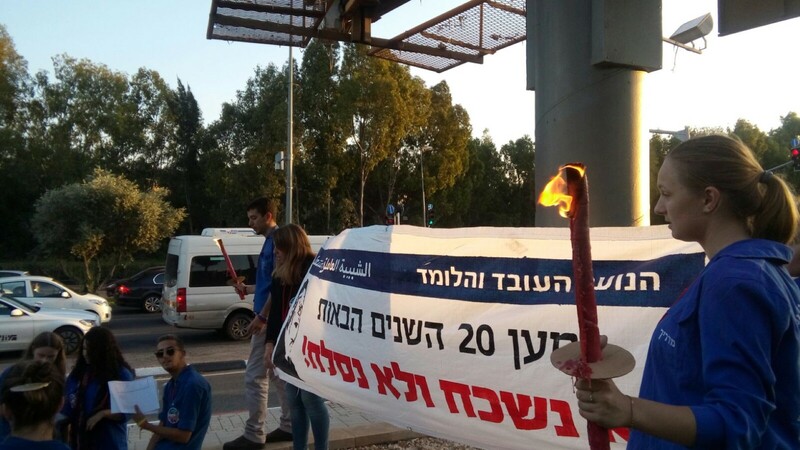 The NOAL movement embarked today on the annual and traditional operation as part of the memorial day for the murder of Yitzchak Rabin – "Messuot LeYitzhak" (Beacons for Yitzhak). 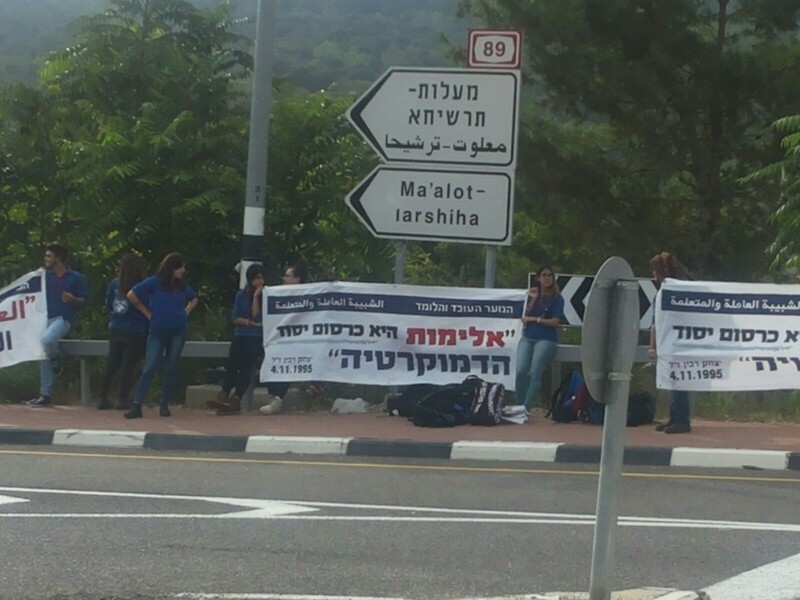 Like every year, the movement's chanichim stood in central junctions across the country on the anniversary of the murder to remember and remind the public of the murder. This year, 21 years after the murder, they stood together in 21 major junctions and squares around the country, madrichim and chanichim of the movement, Arabs, Jews and Druze, and held signs in Hebrew and Arabic carrying messages of peace and democracy. 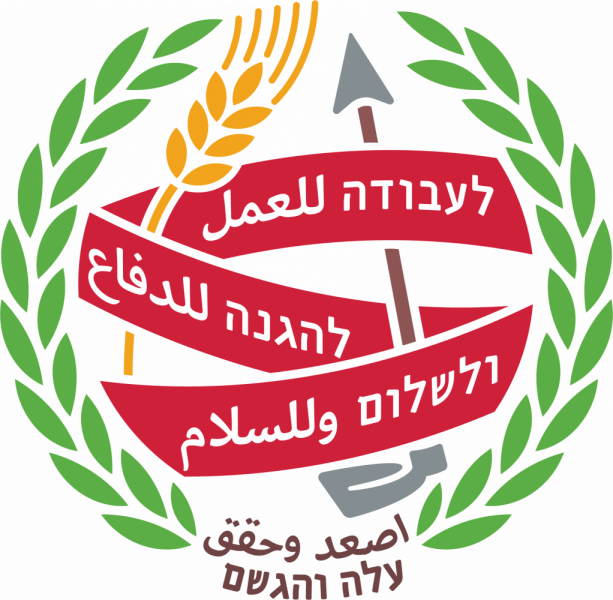 The signs will have the following slogans in both languages – "We will not let anyone raise their hand on democracy" and "We don't have any other country". The chanichim will also distribute a message written by Communarim that invites the public to join the fight for democracy and join the "Asefa Yisraelit" events held across the country. "The power of the Israeli democracy will be measured by our ability to protect it from the inciting, racist and violent forces that oppose the main idea in democracy – that all humans are equal."  Lior Sharir, the Rakezet for the operation: "In the last 21 years the NOAL movement has chosen to lead a wide educational action in everything that has to do with the memory of the murder. The movement's chanichim today are the generation that was born after Rabin's murder. They weren't in the square when the murder occurred but know very well a world where a murder of a prime minister is a real possibility. For that reason, the memory of the murder is the job of the Israeli youth. Yigal Amir, the murderer of the prime minister, is "The nightmare of every democracy lover, and it does not matter which 'camp' you belong to." The power of the Israeli democracy will be measured by our ability to protect it from the inciting, racist and violent forces that oppose the main idea in democracy – that all humans are equal. As every year, this year as well, we will travel to junctions and squares in Memory of Yitzhak Rabim and to remind Israeli society of the terrible murder that must not repeat itself – for we have no other country".